COASTAL WATERS FORECAST: Northwest winds 5 to 10 knots becoming south in the late morning and afternoon. Seas 1 foot or less. Protected waters a light chop. COMMENT: What a weird day. No specs, but lots of white trout. Normally we fish those deep and on the bottom. Today they were everywhere and on top. Even the catfish and reds were on top. The birds were everywhere because there were shrimp everywhere. What was strange was there were no specs. 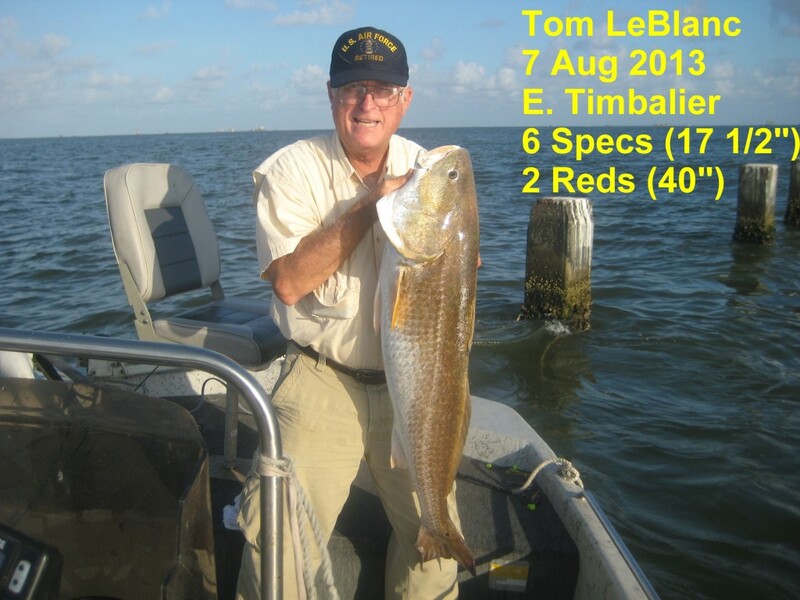 We saw a few huge bull reds and lots of catfish.